Ssenfuka Joanita Warry is a lesbian Catholic activist from Uganda. Unlike in past years, this year’s conference had to be held outside the Vatican’s walls. Conferenceorganizers claim a Vatican organization rejectedsome women on their list of proposed speakers ― including a lesbian Catholic activist and other women who have been vocal about challenging the church’s stance on homosexuality. Instead of letting go of these speakers, organizers moved the International Women’s Day event outside of the Vatican to the auditorium of the Jesuit headquarters. At a time when women around the world arespeaking up against abuseanddemanding greater gender equality, the Vatican’s actions to silence these women speakers have prompted some Catholics to reflect on whether the church really values women’s voices. Ssenfuka Joanita Warry, a lesbian Catholic activist from Uganda, wasreportedly one of the womenwhose presence at the conference did not meet the approval of the Vatican. During the conference, Warry spoke about what life was like for her as a lesbian activist in a countrywhere homosexuality is illegal.She condemned the silence of religious leaders in the face of this discrimination against queer Ugandans. Warry said she believes it’s her responsibility to open up dialogue about the church’s teachings about women and queer Catholics. “I believe things can be different. Women have a lot of roles they can do in the church. Let no one stand in the way of the holy spirit,” she added. Watch a livestream of the Voices of Faith conference below. The Voices of Faith conference is typically held in a small palazzo in the Vatican gardens, according to theAssociated Press. In the past, the conference has addressed issues likewomen’s activism in immigration and education. Cardinal Kevin Farrell, head of the Vatican Dicastery for Laity, Family and Life,reportedly made the decisionto reject certain women from Voices of Faith’s proposed speakers list. Along with Warry,Farrell also apparently rejected Tina Beattie, a Catholic feministandacademic, and Mary McAleese,a former president of Ireland and an expert in canon law. McAleese, the mother of a gay son, has beenvocal about welcoming LGBTQ Catholics in the church. She said a church that is“homophobic and anti-abortion”is not the church of the future. During the conference, McAleese challenged Pope Francis to develop a strategy for the inclusion of women in the Catholic Church. “How long can the hierarchy sustain the credibility of a God who wants ... a church where women are invisible and voiceless in church leadership, in legal and doctrinal discernment and decision-making, but actually are expected to do all the hard work that keeps the church going from generation to generation?” McAleeseasked while delivering the keynote speech at the conference on Thursday. Mary McAleese delivers a keynote address at the Voices of Faith conference. Pope Francis declined to attend the conference,the BBC reports. In the past, Pope Francis hasspoken of the need to“broaden the opportunities for a stronger presence of women in the church.” He’s appointed women to key positions within the Vatican. Although he’s said there’s no possibility women could become priests in the Catholic Church, he has expressed an interest in clarifying whether there’s historical precedent for women to serve as ordained deacons, who can perform some duties of a priest. Still, many at the Voices of Faith conference said there’s much more the Vatican can do to make use of the gifts and talents of women in the church. McAleese pointed out that Catholic women are often the backbone of their local churches. They are tasked with instilling Catholic values in their children, for example. 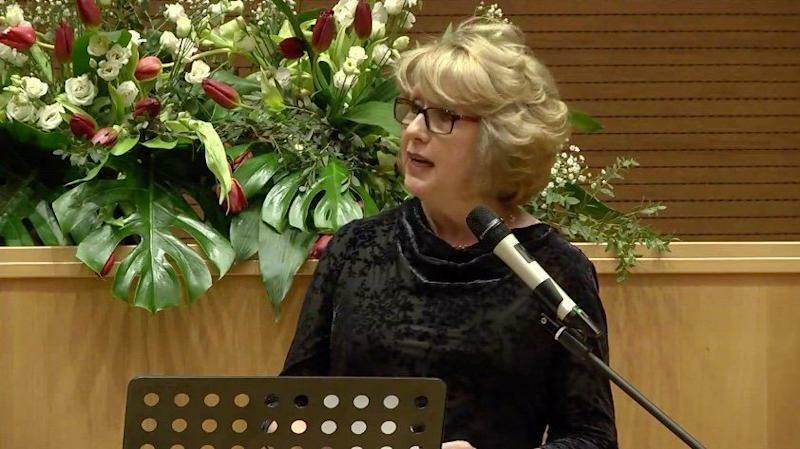 Despite all the work Catholic women do, McAleese said, the church has not done enough to listen to the voices and opinions of the women in its folds.